Sea buckthorn berries are known to contains lots of vitamin C and are therefore highly popular. The sour-tart sea buckthorn berries can be freeze-dried and then combined with other dried fruit, they add a special taste for example to muesli, fruit tea, fruity ice cream, and liquors. Apart from vitamin C, the sea buckthorn berry, sometimes called “lemon of the north”, also contains more vitamins, including vitamin B12, beta-carotin, many mineral nutrients and essential oils. 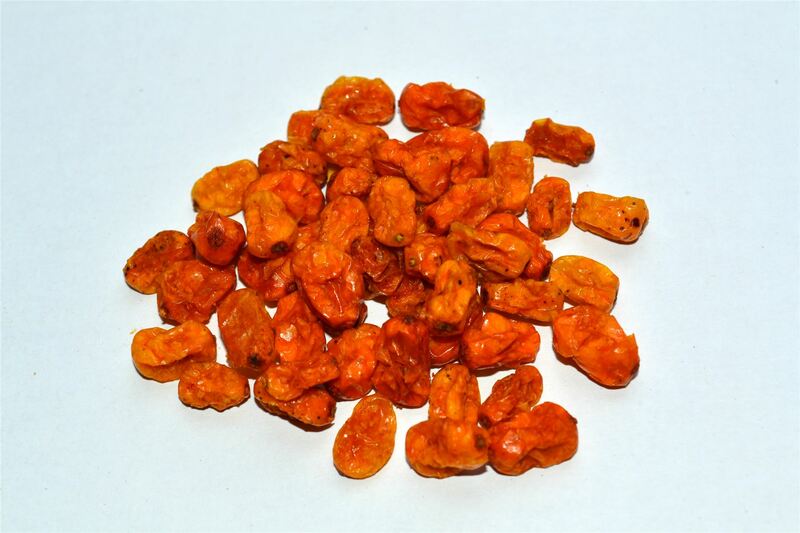 Our sea buckthorn berries are from Poland and are freeze-dried and vacuum sealed. This way, the beautiful colour of the fruit remains almost the same as the fresh fruit. No preservatives or sugar are added.